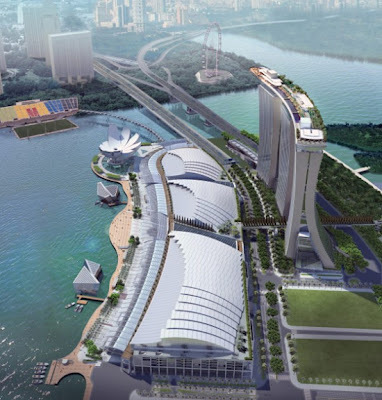 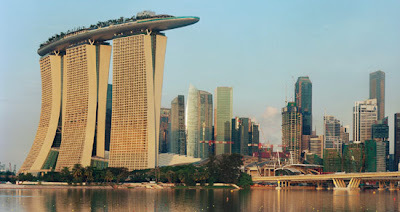 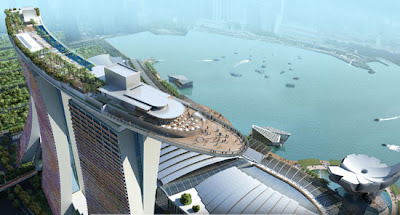 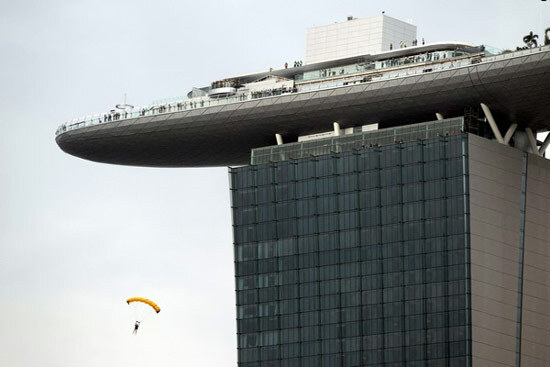 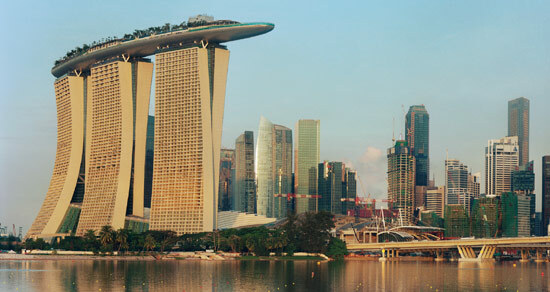 The Sands SkyPark designed by architect M Safdie is a unique structural masterpiece, built on a viewing platform located above three buildings of the hotel at a height of 200 meters above the ground. 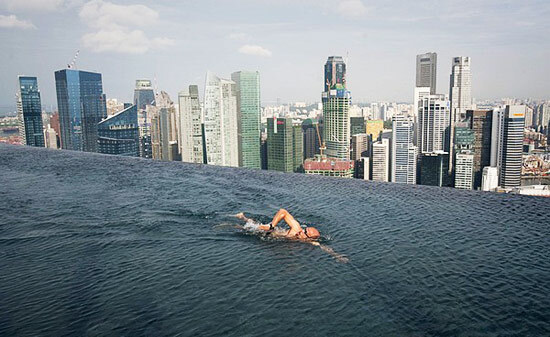 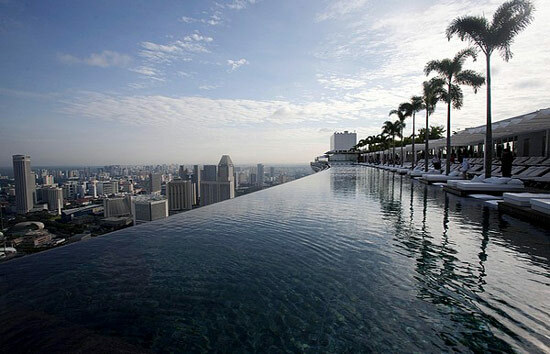 This 150-meter infinity swimming pool is the world's largest outdoor pool at that height. 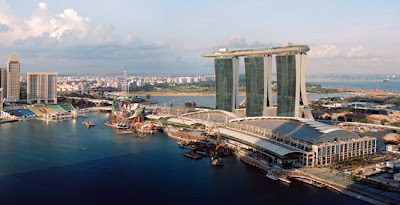 With an impressive 12,400 square meters of space it stretches longer than the Eiffel tower laid horizontally on its side or large enough to park four-and-a-half A380 jumbo jets or space big enough to fit three football fields. The observation platform provides an unforgettable panorama view of the waterfront and swimming here would be a lifetime experience.